When Mark Jackson was named the Golden State Warriors (5-9) head coach, few knew truly what to expect from the former NBA analyst given that this was his first head coaching job. As things stand currently, his first few games in Golden State have produced a combination of mixed results. The Warriors have only won five of their first 14 games, and have at times looked completely lost on offense. 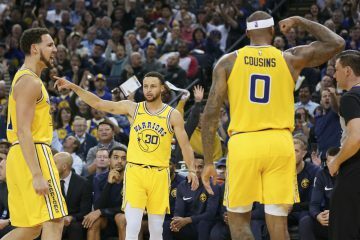 Although it’s easy to point at Stephen Curry’s absence from the lineup due to his ankle issues as a reason for the Dubs’ inefficacity on offense; every team has to deal with injuries and figure out ways to manage. In addition, Dorell Wright’s inability to make shots has been a huge problem for Golden State’s offense. Indeed, teams are now helping off the small forward and daring him to beat them from deep, which he has been unable to do so far this season except against the Miami Heat last week. 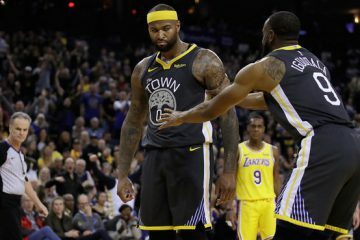 Once again, Jackson cannot be blamed on this issue, but he can however be held responsible for not giving Dorell a quicker hook when Brandon Rush has played so well in a Dubs uniform so far this season. In the same breath, if the head coach is going to face some criticism for trusting his players, he should also be given some praise for extracting the best out of the talents of Monta Ellis so far in this young season. In 13 games, the Warriors’ starting guard has played some of the best basketball of his career. At 23.1 points per game, his scoring is right on par with his previous two seasons; but the difference this season is that Ellis is averaging a career best 7.1 assists per game. Mind you, statistics can be misleading. For instance, Stephon Marbury averaged 7.6 assists for his career and yet was unquestionably one of the most selfish players the league has ever seen. Thus, it’s important to look at numbers and give them some type of context. In the case of Monta Ellis, his assist boost has come as a result of not only a more aggressive approach on offense, but also a willingness to attack defenses at their weakest points to attract extra attention and dish off to open teammates. Ellis is no longer turning the corner merely looking to score, but also seeking to set up his teammates. The biggest benefactors have been Andris Biedrins, Kwame Brown and David Lee who have just been spoon-fed repeatedly throughout the season by the talented scoring guard. Ellis has also found Wright open on multiple occasions but the forward’s inability to convert open shots so far this season has surely cost Monta some assists. Nonetheless, under Jackson, Monta Ellis has been without a doubt one of the best shooting guards in the NBA by any calculation. Whether it’s using the eye test or simply looking at the numbers, Ellis is part of the cream of the crop. The star guard has demonstrated the ability to get to any point on the court that he desires thanks to his speed, quickness and ball handling skills. He is attacking the rim as consistently as he always has but is throwing himself more into the fray as evidenced by his career high 6.8 free throw attempts per game. He has remained aggressive as a scorer this season and found multiple ways to get his points and keep defenses off balance. Indeed, Ellis has attacked defenses primarily in isolations, pick-and-rolls and transition. Also, he has been surprisingly effective as a post-up player, converting 58.8 percent of his field goal attempts from those situations according to MySynergySports. With that said, he is still adjusting to passing out of double teams from post-ups, but has been better at it as we saw against the Lakers a few weeks back. If we look at the numbers, the figure that pops out is the rather low 40.6 percent field goal shooting by Monta. One would expect his shooting to be much better this season, but the starting guard has showed the propensity to settle for long jumpers especially with the shot clock running down. Monta Ellis clocks in on the list at the third spot. His scoring, assists, steals as well as his shooting make him one of the most productive shooting guards in the league. 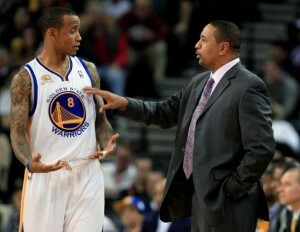 Mark Jackson has been able to slowly but gradually change the culture of the Golden State Warriors. They are no longer a team merely running around recklessly in a blind attempt to score the ball; instead they have now morphed into a team that preaches ball control, good defense and playing within the system. 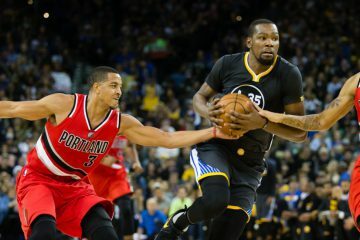 Although the wins have not yet come, the Warriors have managed to hang tough in most of their contests; thus one should expect the wins to come at some point. Mind you when they do, let’s make sure we do not just credit Jackson. Indeed, Ellis embracing this new approach is instrumental to the team’s success; and so far he seems to be complying with his coach’s demands. I agree, that Ellis have done anything that you can imagine as a player, and yet he is still underrated and not included in allstar roster. 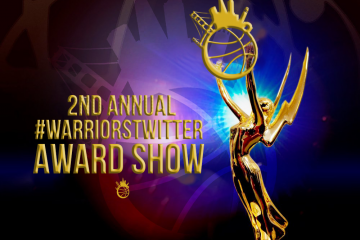 For the owner for Warriors a promise is a promise but a promise can not be done without gambling I meant Commom you know basket ball get some real good centers or power forward or is it the profit that they care coz we all know that even warroirs dont make play-off. the arena is always full.